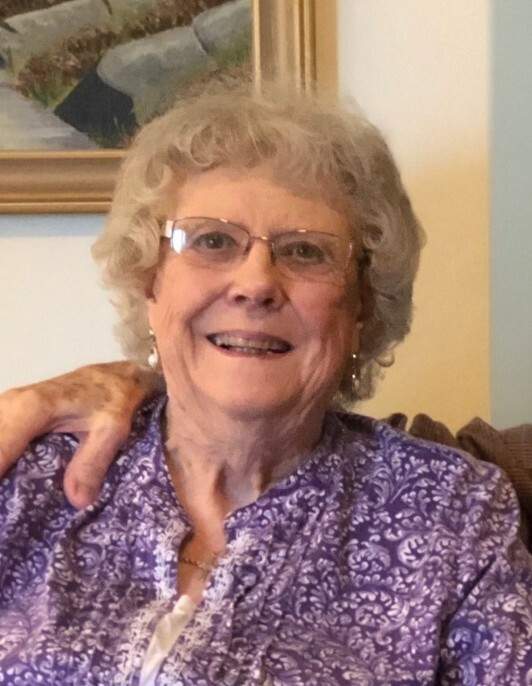 JOYCE AVEY (nee Stone), born June 1, 1931, and passed away Saturday, March 30, 2019. Wife of the late Spencer Avey. Mother of Kimberly Bolek (Rick), Scott Avey (Margaret) and Pamela Avey-Sommers. Grandmother of seven and great-grandmother of five. Sister of Kathy Peppard (Steve) and the late Bernice Kratz (Gordon). The family wishes to extend their heartfelt thanks to the many friends from The Brecksville Women's Club, The Brecksville Community Center, Marymount and Parma Hospitals where Joyce served as a dedicated volunteer. She was an avid Bridge and Euchre card player and enjoyed many rounds of golf with her friends. Her family was the center of all her activities and enjoyed hosting great meals and celebrations. Family and friends will be received at NOSEK-McCREERY FUNERAL HOME, 8150 BRECKSVILLE RD., BRECKSVILLE, OH 44141 on Saturday, April 6, 2019 from 11:30 a.m.-12:30 p.m. followed by Joyce's Funeral Service at 12:30 p.m. Interment will follow at Brecksville Cemetery.